Learn more about the director and producer of the documentary, Ecstasy of Order: The Tetris Masters. In 2011, a fascinating documentary about the world of competitive Tetris was released entitled Ecstasy of Order: The Tetris Masters. 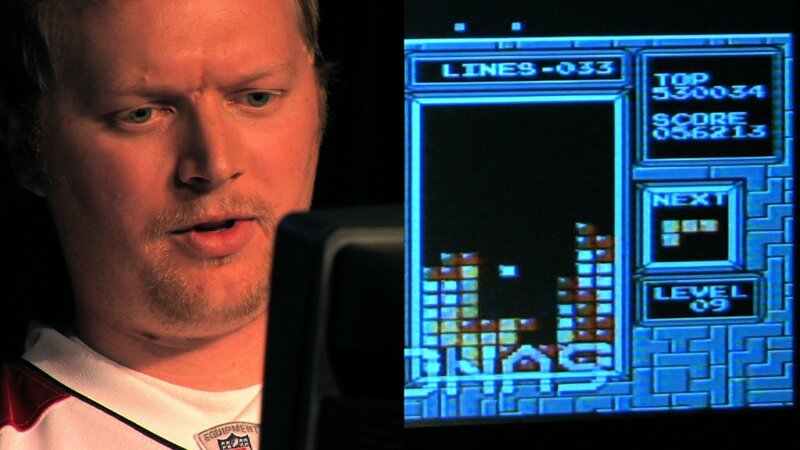 This documentary has captivated both Tetris fans and non-Tetris fans across the globe. 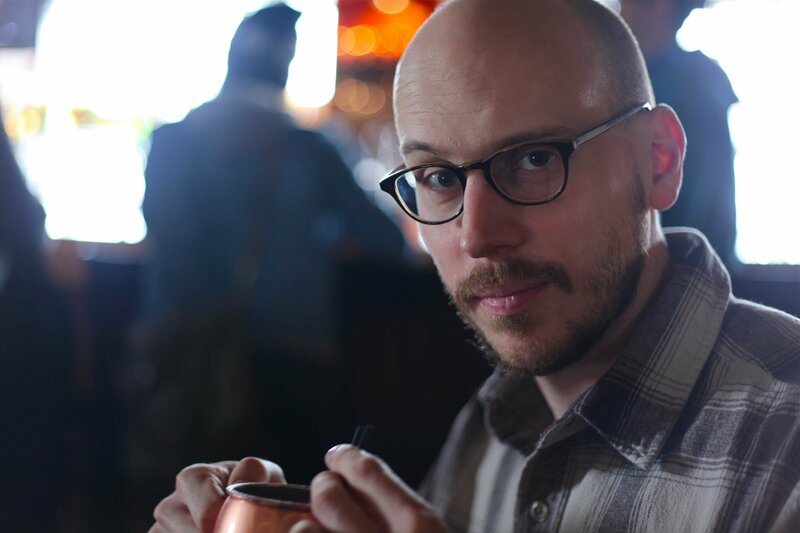 One of the primary driving forces behind the film and its subsequent success is Adam Cornelius. 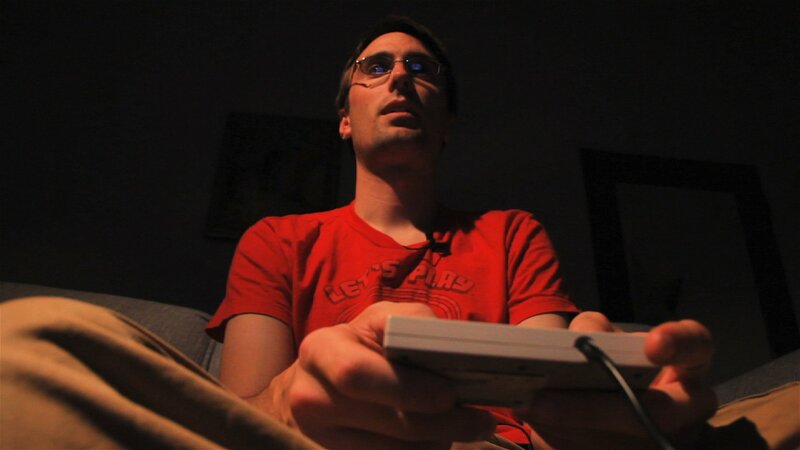 Along with being a Tetris fan, Adam Cornelius is a documentary filmmaker, producer, and editor. When he’s not working on his latest film project, he co-produces the Classic Tetris World Championship (CTWC) alongside Vince Clemente. With so many credits under his belt and an in-depth knowledge of the Tetris scene, we decided to learn more about this talented documentary filmmaker. How did he bring Ecstasy of Order to life? What’s it like co-producing the CTWC? Are there any other projects up his sleeve? Find out in our interview with Adam Cornelius! Q: How did you first get involved with producing documentary films? A: In the mid-2000s I bought a Panasonic DVX100B, which was the hot "prosumer" camcorder at the time because it could simulate 24 frames per second. So I was looking for stuff to shoot and the idea to attempt a feature documentary just came about naturally. Q: What was your first filmmaking project, and what did you learn while working on it? A: I have a BFA in film production from Florida State, which is a good film school. I co-produced and edited a documentary there called A Helping Hand about a woman who was working at a morgue and secretly using the corpses for voodoo rituals. Our most famous teacher, Richard Portman (RIP), who did the sound mixing on The Godfather, Star Wars, and dozens of other famous films, came up to me after the screening and told me I was a good editor. That told me I had a knack for it. I also learned how creative and personally expressive documentary can be. There's this funny thing that can happen where you show your sense of humor by juxtaposing certain ideas, or by what quote or facial expression you begin or end a scene with; just the tiniest decisions that make or break a scene. 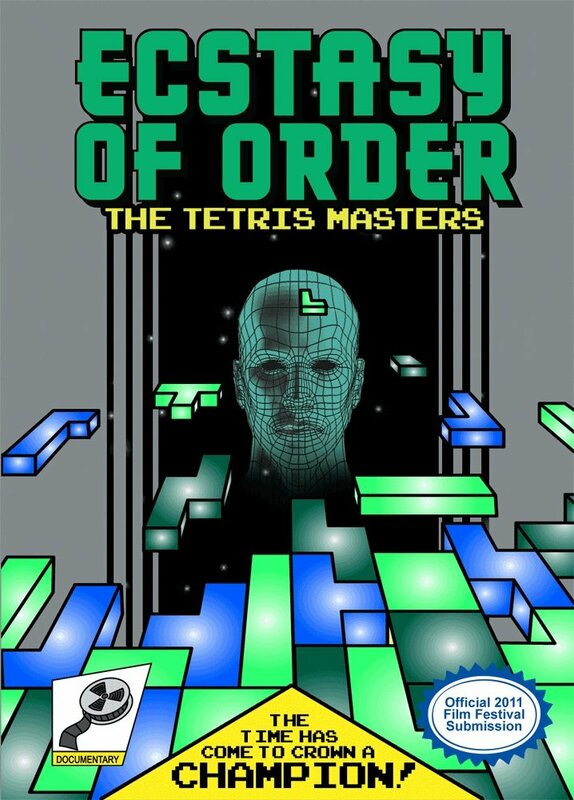 Q: Where did the idea behind Ecstasy of Order: The Tetris Masters come from? A: I had been dabbling with some attempts to be a journalist, and submitted an article about arcade record setters to my friend who was an editor at a culture magazine (this was around 2003). Along the way, I got interested in setting a record, and the only game I could remember being good at was Tetris. I started following the scores on Twin Galaxies and submitting my own. I wasn't that great, but there were so few scores posted where I could still say I was in the top 10. In roughly 2006, after seeing Wordplay (the crossword competition documentary), I realized you could make a documentary about a niche competition. I got really excited about doing one about some of the most famous arcade guys, like Billy Mitchell. After doing some research, I realized there were two documentaries that had already been shot on that subject, one being King of Kong. So, I just moved on and started a completely different project, People Who Do Noise, which was a feature documentary on the experimental music scene in Portland. Later, in 2009, I saw that Harry Hong had finally achieved the first official max-out score (999,999). To me at the time, this was the greatest gaming achievement ever. I contacted him and went down to LA and made a short video called Max-Out. Response to the short video was pretty strong, and the thing just snowballed and became a feature film. Also, I felt Tetris was kind of bigger than video games and that I didn't have to worry that there were already a few prominent gaming docs out there. It all really came together when I went to the 2009 Portland Retro Gaming Expo. I was just wandering around, when I stumbled upon a guy putting on some kind of Tetris tournament. That guy was Robin Mihara, a Portlander who placed 3rd at the 1990 Nintendo World Championship, and was also putting on an NWC tournament. We got to talking, and realized we were both interested in determining who was the best NES Tetris player, and possibly creating a tournament that could serve as a centerpiece to the documentary. I also realized there was a rich history there, and that further bolstered the idea of pursuing a feature. There were many other small steps and connections that had to be made, but it all started with contacting Harry and producing that simple short video. It already seems somewhat primitive by today's standards, but it served as a beacon for Tetris fans, and everything flowed naturally from there. Q: What were some of the things you learned while working on Ecstasy of Order? A: Too many to mention. I really consider Ecstasy of Order to be my Masters or even PhD in documentary. In general, I learned that what they say is true: if you follow your passion, good things tend to happen. Q: Ecstasy of Order has seen quite a bit of success from its popularity among the Tetris community, to winning the audience award at the Austin Film Festival, and premiering at the International Documentary Festival Amsterdam. How do you feel about all of this positive feedback? A: It's very gratifying. I've learned that of course there are always trolls and critics, but for the most part, people are out there rooting for you and really want to lift you up and see you succeed. Especially the film festival community which is really enthusiastic and supportive. I also said I didn't want to shy away from the brainy stuff, and that I didn't want to make a Tetris competition film that didn't explain the higher-level strategies. I'm very proud that the film can also teach you how to play Tetris on a higher level, that people appreciated the depth there, and that we didn't just gloss over it in an attempt to make a bunch of sensational Rocky-style montages where you come out of it knowing nothing about the game. That was really important to me and I've noticed it’s one of the things people really appreciate. Q: Who were some of your favorite people to work with on Ecstasy of Order? A: I made some of my greatest friends on this film. It's a once-in-a-lifetime experience to be a part of a film that comes together that well. So, really everyone, I can't single anyone out. I mean people like Harry, Ben, Jesse, Jonas, Dana, Robin, Chris Tang, Alex, and Thor are some of the smartest, funniest, most interesting people, and that obviously comes across in the film. Then there's Vince Clemente and Trey Harrison who, along with myself, make up the team that puts on the annual CTWC (Classic Tetris World Championship). Those are two of the greatest guys you could hope for in putting on a big event like that, and it's really our friendship and trust in each other that keeps it going. 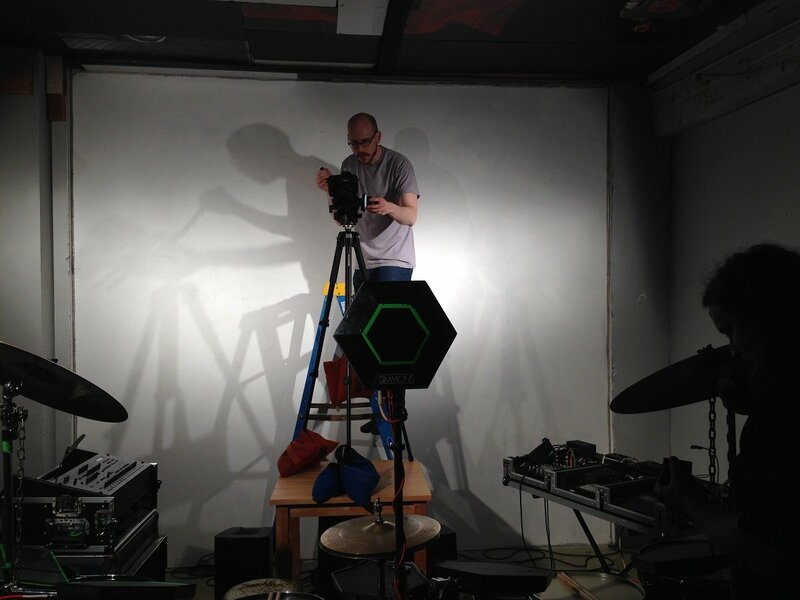 Q: What are some behind-the-scenes things about Ecstasy of Order that viewers may not know about? A: Probably my favorite scene that got cut was Vince handing out fliers for the competition on Venice Beach. It was just one kooky character after another joking about Tetris, doing Tetris dances, or rapping about Tetris. We weren't very diligent about getting releases that day, and also it didn't really fit in the film, but it was hilarious. There were also lots of attempts to get people in the film who we either couldn't find or weren't interested. For instance, the original announcer for the 1990 NWC, Terry Torok. He coined the now-famous "Boom, Tetris!" phrase and we really wanted him to appear, but he kind of gave us the runaround. Also, the guy who got 2nd place at that event, we just couldn't get him to contact us. Q: What were some of the challenges you faced while working on Ecstasy of Order, and how did you overcome them? A: The challenge was weaving all the stories together. It became clear at some point through test screenings that Thor was the emotional heart of the film. So our A-story, which is the typical "meet the players and find out who will win the tournament" was getting upstaged by our B-story, which was this mystery man Thor. But, reality dictates these things sometimes, I mean, everything you see in the film is real, no one really knew if Thor could do these things, or if he would even show up. That mystery and drama you're seeing is authentic. In the end, I'm proud that it's a balance and nothing is too telegraphed. People are genuinely surprised by the ending and even blown away. It might start a little slow, but everyone who sticks with it gets that big payoff. Q: Are there any things that didn’t make the final cut in Ecstasy of Order that you wish you could have added in? A: I would have loved to go to Japan and try to track down the original creators of NES Tetris. But that would have been incredibly expensive and we had no indication as to how difficult that person or people would be to find. Q: Following Ecstasy of Order, you’ve continued to co-produce the Classic Tetris World Championship. What would you say is your favorite thing about the CTWC that keeps you coming back year after year? A: First and foremost, the growth of the players. Everyone is getting so much better, even Jonas and Harry come back better each year. It's amazing to see—across the whole spectrum—how everyone just keeps finding ways to improve their games. We started with 3 known max-outs, and now there are close to 30, so the movie along with the tournament really solidified classic Tetris as a major esports event. Second would be the growth of the audience, both online and live. We've had crowds of up to 500 people just standing there in awe. All those people watching, and these guys are playing just one micro-mistake away from topping out! It's super intense, and you kind of have to be there to understand. Online, our YouTube channel now has over 6 million views. It’s very gratifying to see that the excitement we're experiencing translates to a larger audience. Also, our continued partnership with the Portland Retro Gaming Expo has been a wonderful experience. They have sort of given us top-billing and we can't thank them enough. Chuck, Toby, and Rick do an amazing job creating this unbelievable experience where pretty much the entire history of video games is at your fingertips. It’s an incredible event for retro gaming fans, and my only regret is that I'm too busy running the tournament to check out all the cool panels and events! Q: If you had to pick, what would you say your favorite Tetris game is and why? A: Well the answer has to be NES Tetris. If you’re from the 8-bit NES generation, that was and always will be the original Tetris. Everything about it, the colors, the music, and especially the Tetris sound, is seared in your memory for life. It's also harder, more random, and more satisfying to master than many of the versions that have come since. Finally, it has all these "white whales" like the max-out and level 30, that create the mythos that our whole documentary and tournament is built around. I'm also a fan of the more bizarre Tetris spin-offs. Probably my favorite of those is Tetris 2, for NES, which seems to be a direct predecessor to Dr. Mario, but it strangely combines the shapes fitting together and the color matching in a frustrating kind of mish-mash. Most people usually find it annoying, but I love it. Q: You’ve been introduced to many competitive Tetris players both through the CTWC and Ecstasy of Order. Are there any you’ve become close friends with? A: One of the players I've become close friends with is our native Portlander, Terry Purcell. He came on the scene a little late, but dedicated himself and shot up the rankings very quickly, placing as high as third in 2014. A year later Vince, Terry and I flew to Copenhagen to take part in the European Championship. 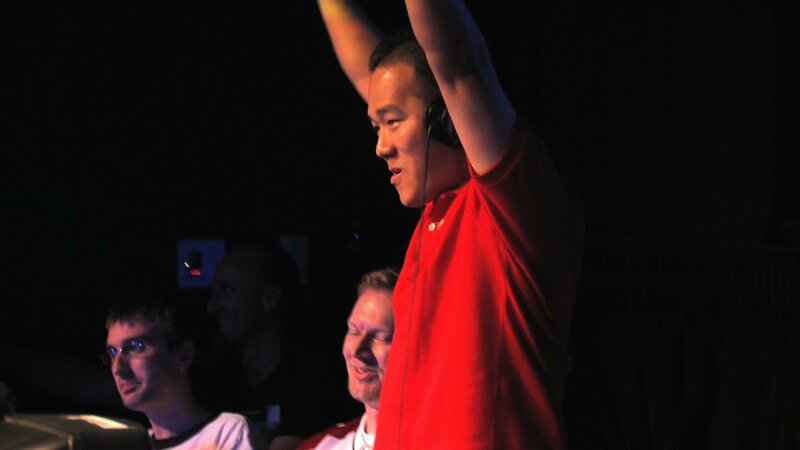 We've had some epic experiences, including the moment when he barely defeated me in the SNES semi-final in Copenhagen! Q: Have you ever participated in or do you currently compete in the CTWC? If so, how good of a player would you say you are? A: I've participated the past two years. I think of myself as "cannon fodder" good enough to get in the 32 seed bracket, but not quite good enough to put up a real fight against a more skilled player. It’s gotten to the point that just making it into the top 32 is a real badge of honor. I jokingly say I'm a "brown belt" in Tetris. For those of you who know martial arts, that's one belt away from black. I just don't know if I can ever be as calm and perfect as the top players... but I'll keep trying. Q: What do you think it is about Tetris that draws so many people to places like the CTWC? A: People intuitively understand the purity of Tetris, and that it's a perfect example of a "cognitive sport." It requires everything a sport does to achieve greatness: discipline, endurance, focus, and the ability to get yourself in "the zone." It only takes one moment of neurotic self-consciousness to throw off your entire game and kill you (usually what happens to me). It has that thing where you have to trust in your training and let instinct take over completely. Watching two people dig in like that and push each other to their limit is awesome. Q: Aside from being a producer, you also work in editing and post-production. Can you tell us a little bit more about that side of filmmaking and why it’s important? A: Well editing is the heart of filmmaking. It's where you put it all together and find a way to make it work. It's a beautiful feeling to find the perfect music, and take this footage that's kind of boring on its own, and find a rhythm and another layer of meaning when you put it all together. It can be a grind, but very rewarding in the end. It's also cool to have this huge sprawling experience in your life that can take months or years, and distill it down into this tiny little 90 minute nugget that anyone in the world can experience at the click of a button. That's the power of editing. Q: Finally, do you have any upcoming film projects you’re working on that you’re excited about? A: Yes! Vince and I are in post-production on a new documentary about the Palindrome World Championship. Like Ecstasy of Order, it's also a competition film, but it also dives into the history of palindromes and the stories behind some of the most famous ones such as, "a man, a plan, a canal, panama." If you want to follow A Man, a Plan, a Palindrome, you can like our Facebook page to stay updated on the film’s release schedule. We want to thank Adam Cornelius for taking the time to do this interview. If you’re interested in checking out Ecstasy of Order: The Tetris Masters, be sure to check out the film’s official website. Think you have what it takes to compete at the CTWC? Find out how you can participate this year by heading over to the CTWC website! If all this talk of Tetris tournaments and Tetris pros got you in the mood for a few rounds of Tetris, click here to play Tetris right here on our website!